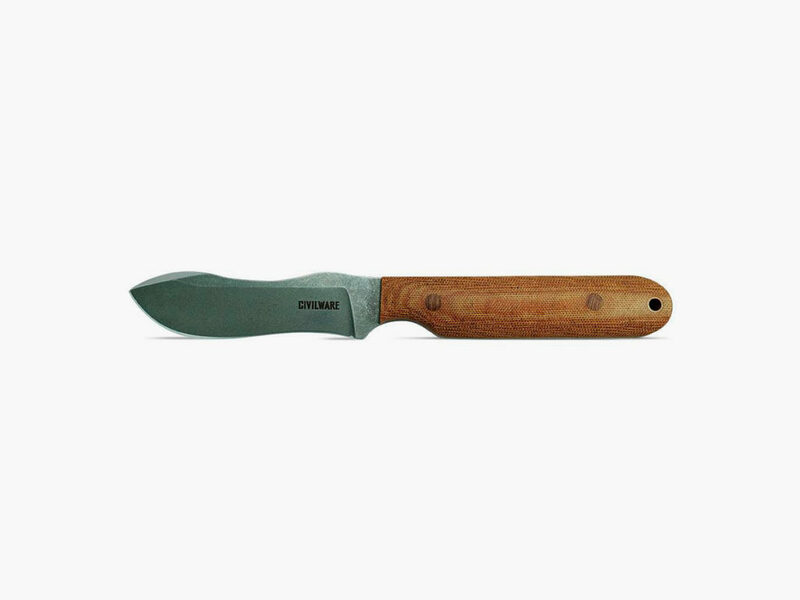 With a pronounced belly and durable tip, the Civilware Striker is decidedly more hardy than the average pocket knife. Like the strategically coordinated pocket square, the pocket knife is an essential component of a gentleman’s outfit. Available in all shapes and sizes, the pocket knife can say as much about a man as his choice in drink, outfit, or even hairstyle. For the man who doesn’t want to let on that he secretly likes killing Bambi in the forest, the Civilware Striker Fixed Blade Knife is the perfect alternative. 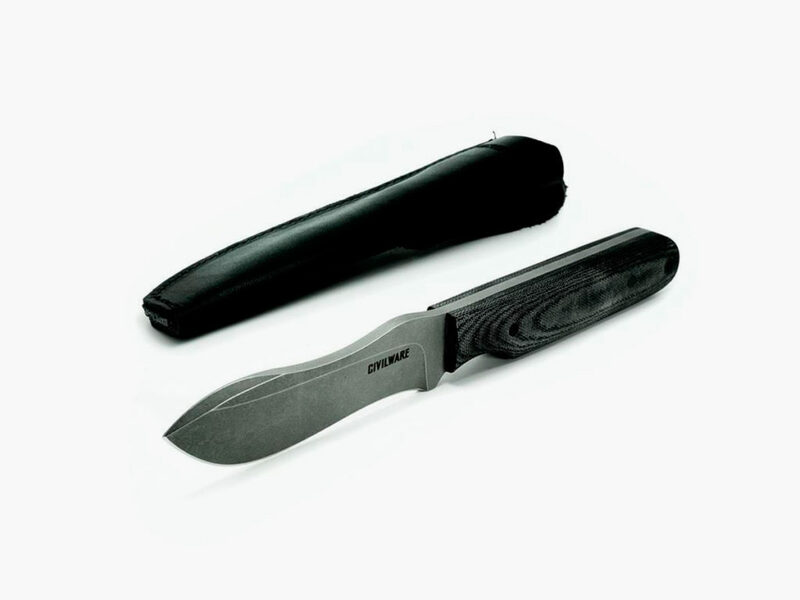 With a 4 inch blade and 4.5 inch handle, the Civilware Striker Fixed Blade Knife features a pronounced belly and durable tip that is decidedly more hardy than the average pocket knife. 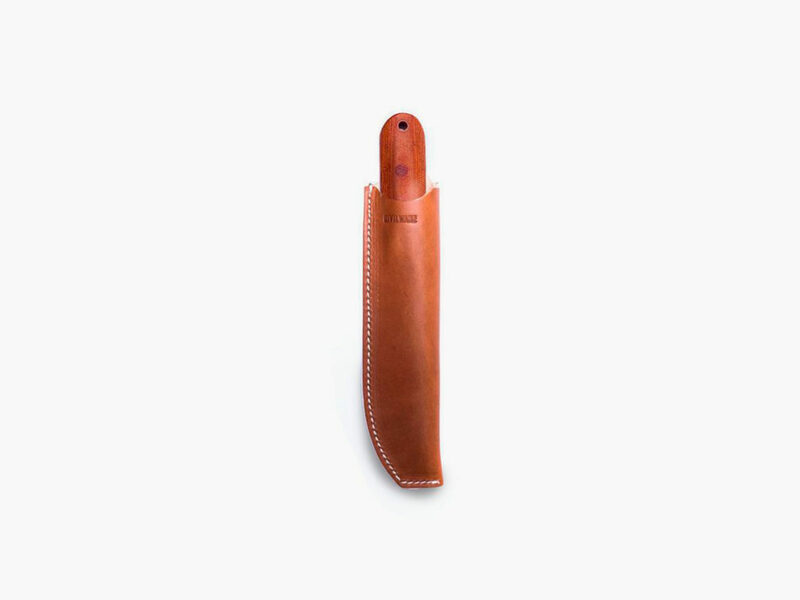 The full grain leather sheath can be paired with just about any outfit while still remaining subtle enough to be hidden in a jacket or pant pocket for the majority of the night. The AEB-L steel is corrosion resistant and features a sharp edge that is equally adept at popping open beer bottles as it is at whittling kindling for the campfire. 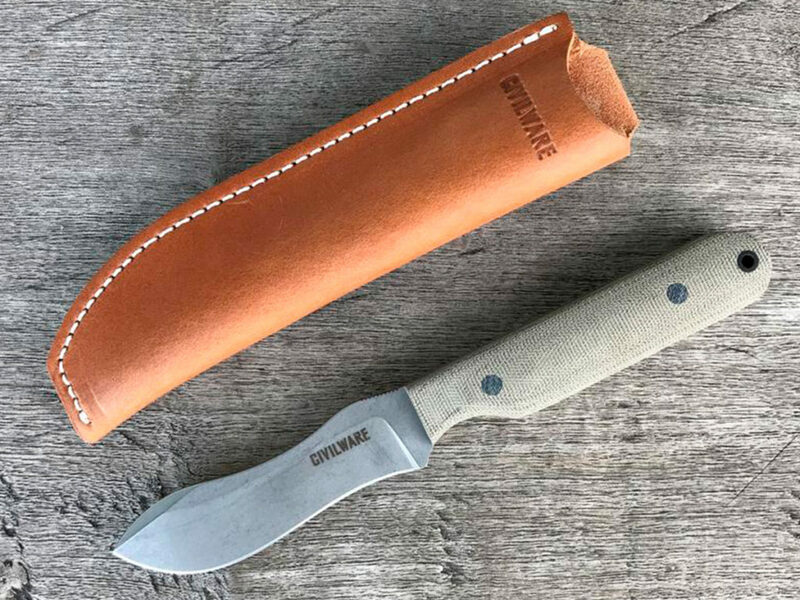 No matter the occasion, the Civilware Striker Fixed Blade Knife is at home in the pocket of a hardy outdoorsman or a gentleman who’s intent on being prepared for any situation. The Civilware Striker is available in black, coyote brown, and od green.